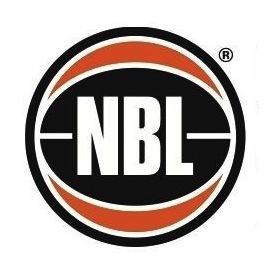 WNBL Clubs: AIS 2004/05; Townsville Fire 2006/07; Adelaide Lightning 2007 – 2010; Logan Thunder 2010– 2012; Bendigo Spirit 2012/13; Sydney Uni Flames 2013 – Current. WNBL Championships: (2) Adelaide Lightning 2008; Bendigo Spirit 2013. Bio: Camino burst on to the scene like few others before her, taking the WNBL by storm in her debut season, winning the 2005 Betty Watson WNBL Rookie of the Year award on the back of averaging more than 17 points and 9 rebounds per game. A serious knee injury saw Camino miss the entire 2005/06 WNBL season, but scouts weren’t deterred, with the Houston Comets taking the free-scoring guard with the 24th selection in the 2006 WNBA Draft. Camino’s production continued to amaze, putting up big numbers in her one-season stay at Townsville before joining the Adelaide Lightning. Here Camino would further enhance her standing in the game, producing a memorable 32 point 9 rebound performance to take out the 2008 WNBL Grand Final MVP. 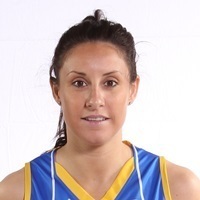 Logan was the next stop, helping the Thunder to their first finals campaign in 2011 before joining the Bendigo Spirit where injury would limit her output, but was able to add a second WNBL title to her collection. Career Highlights: WNBL Rookie of the Year: 2005, WNBL Grand Final MVP: 2008, FIBA Young Women’s World Championship: 2007 (Silver), FIBA Young Women’s World Championship All-Star Five: 2007, Drafted 24th overall in 2006 WNBA Draft by the Houston Comets.